Note: This post was first published in July 2012 and updated in November 2018. I’m sure each rejection letter in that picture above has served as a stepping to stone to success for you. While I haven’t had any rejection (or acceptance for that matter), I can assure you that rejection is NOT a bad thing. It’s just the way it works. No successful author has had a perfect start. In fact, rejections are necessary to know where you’re going wrong so that you can fix your mistakes and move ahead. If you don’t believe that with your heart and soul, you’ll have a hard time gulping down any rejections that come your way. I respect you for sharing your story Ali. I wish more writers do so. Thanks, Mustafa! And I completely agree … rejection isn’t a bad thing, it’s certainly nothing to be ashamed of. You’re completely right — without those rejections, I’m sure I wouldn’t have got to where I am today, because I’d probably be too scared to ever put my writing out into the world! 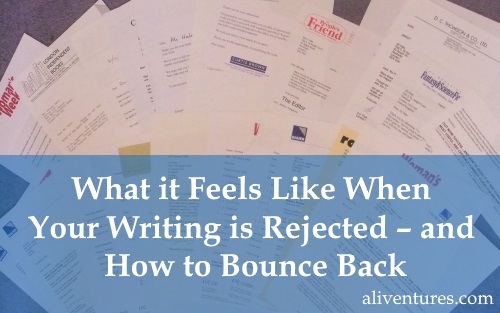 It’s easy to see other writers succeed, without realising that they collected plenty of rejections along the way … so I wanted to do my bit to show that we *all* get rejected and it’s not as terrifying as new writers might think! Here in the Philippines, publishers/employers are kind of skeptic on applications coming from individuals without journalism or creative writing degrees or backgrounds. Unfortunately, for me, landing on a writing gig had been quite difficult given my profession as a nurse. Sure, I experienced a number of rejections. Not to mention, a lot of discriminating remarks. It was, indeed, a painful experience for me. But then, I thought, I have so much to offer given my background in health care. Finally, I landed on a company who’s very willing to take in medical and health professionals to write for them. I even had the opportunity to be offered with writing jobs – paid with substantial honorarium fees – for a local health publication and magazine. As I have mentioned on a few occasions here, I specialize in writing fanfiction. Therefore, I haven’t attempted to send my writing out to competitions or otherwise (at least, not since I submitted three different short stories when I was about 13). However, I do still understand the importance of your closing paragraph. LycoRogue’s last blog post ..Happy Birthday to Me! Out of interest, are there any fanfic competitions around? It’s years since I’ve been involved as a reader — and I’ve never been a writer — but I definitely came across fandoms where fans gave awards to particular stories. And I know some fandoms have challenges or whatnot, to encourage authors to write. Getting published is a numbers game like selling. Every no is closer to a yes. I have also found that there are positive rejections. Any rejection that comes with a few words of encouragement or asking to see more of your work I take as a positive. I was submitting one short story and got three rejections, but was asked to submit other work. 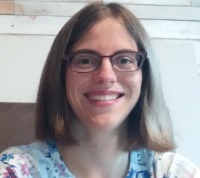 When I was scouting for an agent last summer for my YA novel, several agents gave me encouragement and compliments on the nature of my story and to not give up. I realized soon after that my YA needed at least another 10K words to be in the middle of that reading age group. So, back to more writing and revising. Our writer’s group self published a series of short stories and that was rewarding too. So keep writing. That’s a really good point, Allison … and I have been lucky enough to get a few positive rejections in my time. Even a few scrawled words on the bottom of a form letter really make a difference! Bless your heart, Ali, for contributing this fab post: this is just what the doctor ordered and I really needed to read your post. The timing was just right, to be sure. As a writer, getting rejected is a fact of life, so you just wrote about the story of my work-life. I have been rejected so many times that I could write a book about it or a novel. I have been rejected more times than I have been published. That’s why whenever and wherever my work is published, I take that as a bonus and move on with my life. It is like a shot in the arm when you finally succeed. All that painstaking labour finally leads to a reward and you get a chance to eat your grapes. Many times, I have also come across editors who were never on the same page–no pun intended there. We did not see eye to eye on any issue and my work was rejected due to personal dislikes and a certain angle on writing. People in positions of power and influence are also not infallible: they have their strengths and limitations just like the rest of us do. But then, when one of my creative pieces was rejected, I would send it out to another publisher–and it would be accepted at times. Moral of the story: you never know the outcome of your creative writing efforts. There is always some editor or publisher out there who will like your work and others who will dump it in their trash can. Most of them, in my case, never even bothered to respond. They did not care and they had other plans, but I did not take it personally. Just keep on plugging away like Stephen King and sooner or later you will taste the bitter-sweet of success. And when it rains, it pours. At least that has been my experience as a writer. Cheers. Thanks, Archan, glad this came at a good time for you. I’ve been rejected *far* more times than I’ve been published … I think that’s the norm! And I agree with you, publication then becomes something to see as a real bonus. You’ve definitely got the right attitude. Continuing to send work out, and not taking rejection personally, are so crucial. I”m just a beginner in my mid 50’s of actually working on my writing dream of years and years. I’m sure that there is a good book in each one of us. Your article has given me the courage to submit my first short article on “my favourite camping spot for New Zealand Motorhomes Caravans and Destinations. Fingers crossed. Now I know how to handle it if I get a rejection. Farouk, you’re a constant inspiration! It always seems like 2KnowMyself is going from strength to strength, and I can only imagine the amount of work you must’ve put into building the site and your online career. Thanks for the post Ali. It takes courage to broadcast your rejection letters to the world. I haven’t sent any works for publication but I agree that all good writers get rejected and we learn and grow from them. It also help the writer build a stronger backbone for the hard world out there. Feeling inspired to try again, so thanks. Anyone out there wanting to offer recriprocal feedback (a bit confined to low/no cost options right now) and finding it much easier to offer constructive criticism/ support to other writers than I am about knowing if I’m hitting the right note with readers. Love your posts and really enjoyed the self-publish blogs. Congratulations on the publication, Mary — money can be pretty slow to come in the writing business, but I’m sure you will get there. Do keep going with the blogging — I’ve left a couple of “failed” blogs behind over the past four years, and I wouldn’t be where I am now without them. We can’t learn without making at least a few mistakes along the way. And I’m sure your posts are better than you realise! Rejection at first is truly hurting. I’m someone who really like writing poems. My first submission to a newspaper was abruptly rejected. But now this same newspaper is chasing me for my poems. It is painful to be rejected — and newspapers can be especially abrupt, because their staff tend to be so busy. How great to have your poems in demand, though — congratulations! I think this is a great lesson not only for writer, but for everyone. I’m happy to know that you continued your work after getting rejected many times. This is true that we’ll feel proud and improvement in our work after being rejected many times. This is a part of life. Ehsan Ullah’s last blog post ..Why Do I Blog? 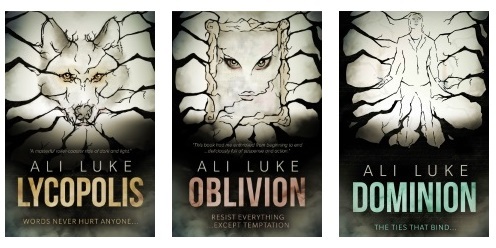 Thank you Ali for this practical yet encouraging post on the realities of the writing life! I love how supportive the writing community is. I’m “pocketing” his post to pull out when I feel low. And congrats on your big announcement! I hope you continue to feel well! Thanks Julia! And do keep this one bookmarked somewhere safe … though, of course, it’d be lovely if you never need it. 😉 Best of luck with your writing and submitting. What an inspiring post. Just loved the rejections photo! In fact, I thought about doing the same thing when my novel will be published. I never count my rejection letters (at least, until today), but the projects of my first book of short stories was rejected for 2 years (that’s why I decided to make a blog, in first place, to publish the tales of “Distant Thunders”, that is the name of my blog, in English). After I finished my first novel, I sent to publishers (I didn’t count, but I guess was around 10) and 2 contests, but it remains rejected until today. I’m waiting for another contest and a publisher to answer me back about that novel, and the project of the novel that I’m working now was rejected for 5 times, for a government scholarship to write a novel (even that wasn’t the same project, neither the same text). But no, I wont’ give up. Thank you very much for this post. It gave me strenght, hope and faith. Awesome post! It inspire me a lot.